by Dr. 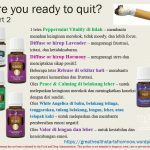 Deny Sentosa, Ph.D | Ready to quit smoking? 09 Nov Ready to quit smoking? 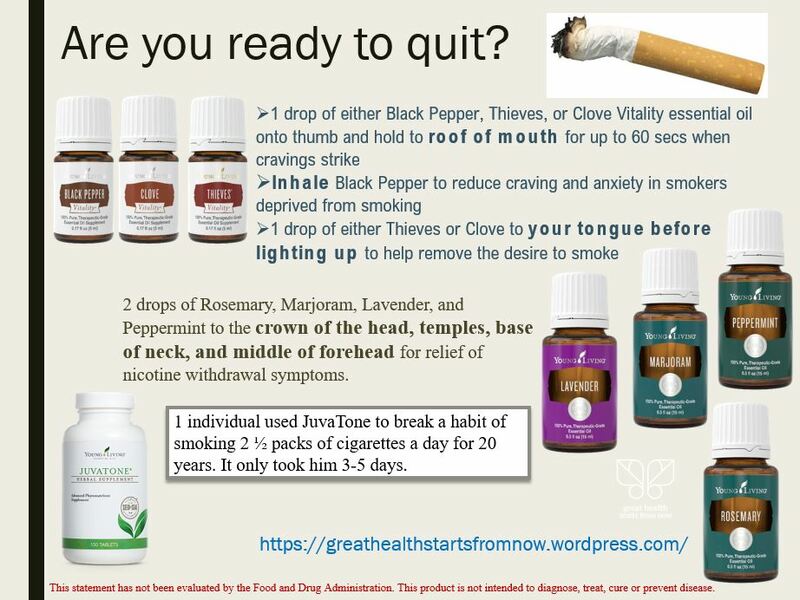 Few friends asked me whether there are oils to quit smoking. My answer is that the person who smokes MUST have intention to quit. If not, the oils will not help as much as the person wants. However, as long as the person really wants to quit and with the help of loved ones plus YLEO products (remember, YLEO products are just helping, not the main factor), he/she can do it! The quitting is not an easy task because the cravings will make the person wants to smoke. I made these graphs to help during the quitting process. It’s pretty tough to cut all the smokes all of sudden. My suggestion is to start slow. Cut 1-2 sessions of smoking for few days first. 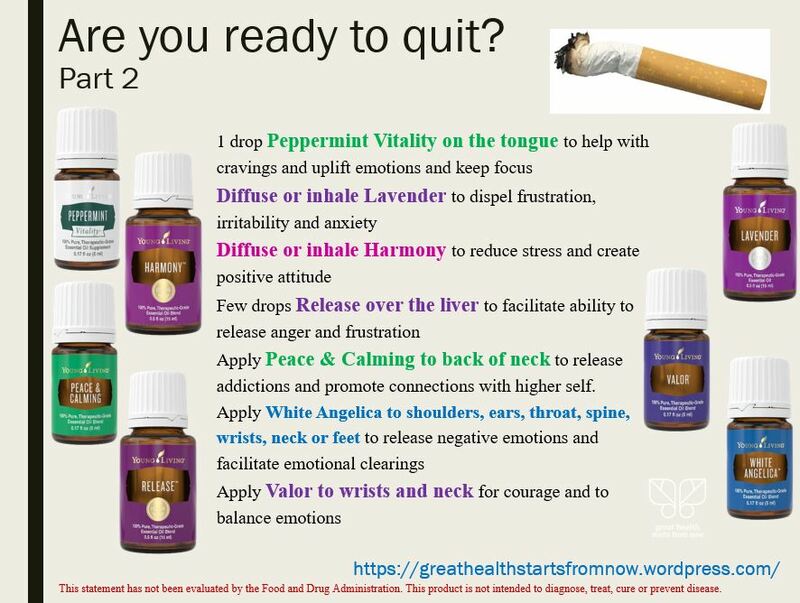 Add these few oils to help the withdrawal symptoms. If successful, reduce the number of smoking again. Repeat until successful in quitting. BIG HUGS for wanting to quit and successful! One of the reasons you are reading this article is because you want to quit smoking or you want your loved ones to quit. Talk to your loved ones about quitting. One of my friends commented that by using Clove Vitality under tongue (BEWARE IT’S HOT OIL, use with extra caution), her dad stops smoking. Berikut adalah gambar dalam bahasa Indonesia.